Maintain your health and quality of life. You've had a fulfilling life as a parent, professional and volunteer. As a senior, you now want to have a fulfilling life as a retiree. A lifetime of juggling family, work, home up-keep, etc. can transition to a stress-free time of relaxation and possibly to explore new interests. You want to have full control of your life and realize that you want to avoid becoming a burden to your children or family should a life-changing injury happen. A Senior Living Community can provide you the stress-free environment of no longer having to maintain your home such as mowing the lawn or fixing the leaking faucet in addition to providing the care you require as your needs change. Benefits and Amenities provided to residents. Care options available for different needs. Floor Plan Options and much more. 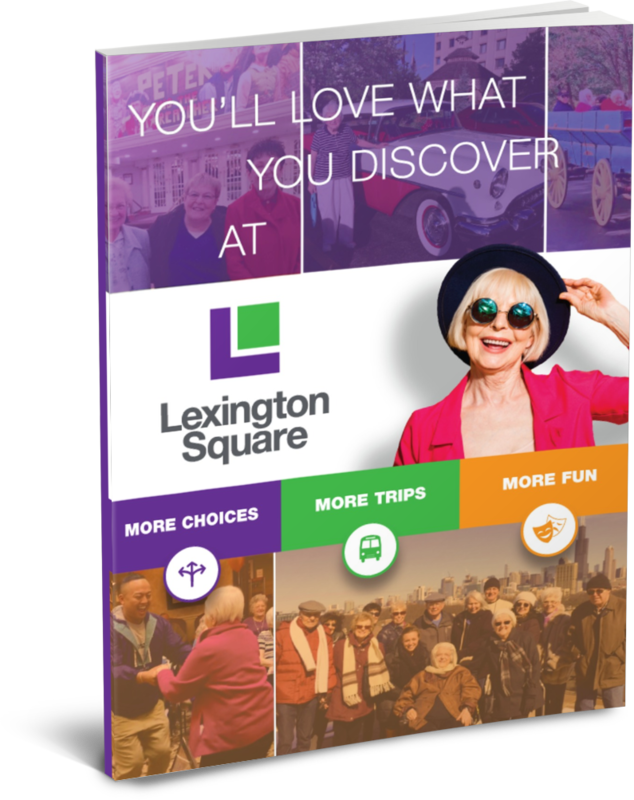 Complete the form to the right to download our free guide, You'll Love What You Discover at Lexington Square. and learn why Lexington Square is the place to begin your search when looking into senior living communities.